The company focused on fixing issues with loading screen freezes and client stability. 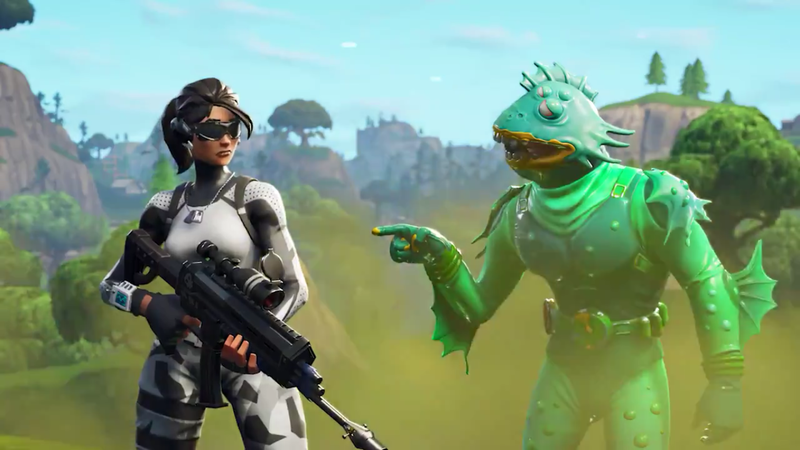 The latest Fortnite update, the v7.30 version, implemented over 40 bug fixes across the entire game, from gameplay to user interface and audio. But developer Epic Games had to deal with more serious issues that arose after the update went live and even had to release a v.7.30.1 update yesterday. The most critical situation happened to players who experienced loading screen freezes in Battle Royale. Epic’s development team first thought this was related to PC players only, but console players also reported experiencing these freezes after the v7.30 update on Tuesday. Epic recognized it and said in the v7.30.1 patch notes that all players getting stuck on loading screens will no longer have this problem. Epic also had to roll back their new system of calculating players’ latency to the Fortnite servers. Before the v7.30 update, some players were seeing high ping numbers in their network information that misrepresented the actual quality of their connection. Epic introduced a new calculation method to represent latency to players in v7.30, but it just caused weird “Connection Lost” messages and calculations showing zero ping under stable connections. This system has been removed and rolled back to the old one. Even after the v.7.30.1 patch, a bug with chat and party services happened early this morning. Epic has to disable the system for maintenance for an hour or so to investigate the issue, and during that time players were unable to play in groups. The issue was solved quickly. Players on mobile also experienced issues with the client stability after the Marshmello gear was released last night. Epic had to release a small patch and temporarily disable the reactive lighting on Marshmello’s gear on iOS until a stable fix is released. Fortnite fans should have a smoother game experience now in comparison to the last two days since most of what was actively disrupting the game should be gone. New bugs and issues will surely arise, but now they’re likely to be pushed to next week’s v7.40 update if they’re not critical.